Representatives from town halls, senior centers, health departments and students from Bridgewater, New Milford, Roxbury and Washington, and the New Milford Visiting Nurse Association recently teamed up to participate in “Together” National Walking Day April 6. The U.S. Surgeon General recommends that we take 10,000 steps per day. Heart disease is the No. 1 killer in the U.S. But by exercising for as little as 30 minutes each day, one can reduce one’s risk, improve blood pressure and see many other health benefits. 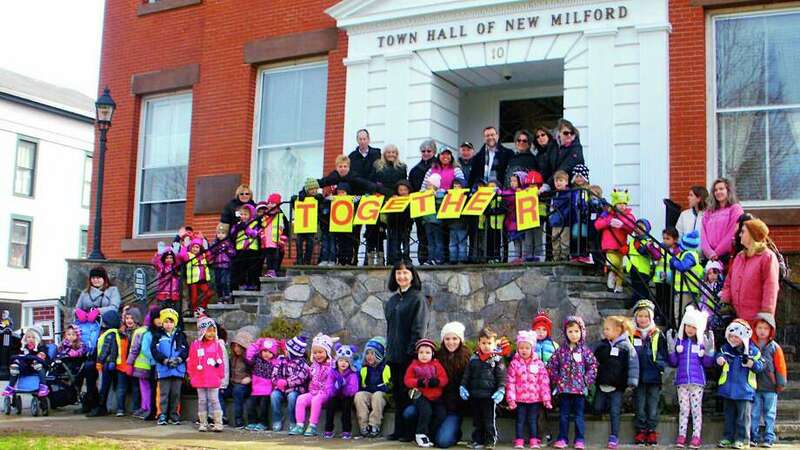 Above, walkers pause for a moment on the steps of Roger Sherman Town Hall in New Milford.